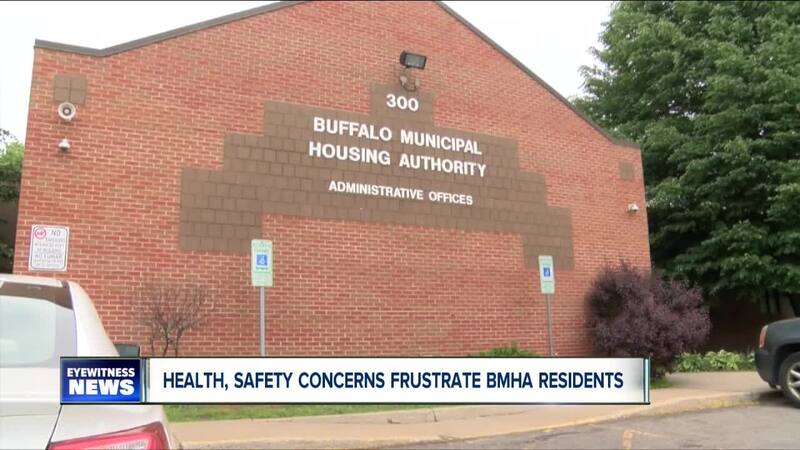 More than a dozen residents of Buffalo Municipal Housing Authority properties raised the alarm on various health and safety concerns Tuesday at Buffalo City Hall. "If a fire broke out, we would've died. We would've died," Ronald Lawson said. He lives at the LBJ Apartments where both elevators were out of service for multiple 1-to-2 hour periods this past weekend. "So what are we supposed to do? Just sit there like a bunch of fools?" "This is the first time I ever felt trapped in the housing where I lived," Lisa Pearson, who also lives at LBJ, said. "We need a new elevator and we need it ASAP." One elevator is back up and running. After a delivery delay, parts to repair the other elevator arrived today and, according to the BMHA, both elevators will be working by Wednesday. The authority plans to replace both elevators next year, Executive Director Gillian Brown said. "We have a lot of work to do," Brown said. "This is a process and with each step we get a little closer to being able to do this in a more efficient way." 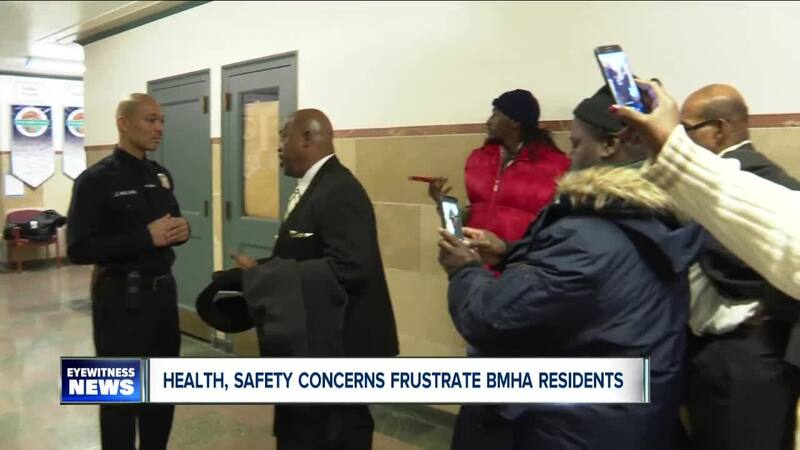 7 Eyewitness News has reported on various health and safety concerns raised by BMHA residents since January. Tenants have experienced issues with urine in hallways and broken elevators . One 70-year-old woman was living without heat or hot water for two weeks . A group of residents clashed with Buffalo Common Council members on many of these issues two weeks ago. After not being able to speak at a Common Council committee meeting Tuesday (no relevant item was on the meeting agenda) and being turned away outside Mayor Byron Brown's office, the frustrated group of residents was invited to sit down with Council Members Richard Fontana and Rasheed Wyatt. "This worked out very well in this setting because we were able to sit across the table from residents, get their concerns, have their representation here and work with them towards some solutions," Fontana said. The council members say they will personally address the specific concerns raised by residents with Executive Director Gillian Brown. A meeting between Brown and residents has been scheduled for Thursday morning at 11 o'clock at the LBJ Apartments.